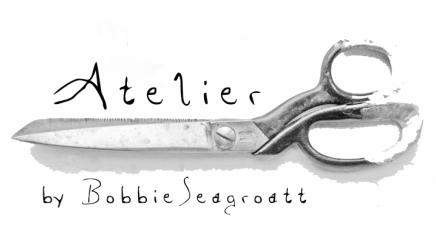 'Atelier by Bobbie Seagroatt', my bespoke wedding dress business. Out of the ordinary, left field, unconventional designs, as well as swoony romantic, but top quality always, using the finest fabrics, and finished to a couture standard. Dressfresco, my portraits of wedding dresses business, plus other artwork. I have always loved variety in my life - I like the teaching a lot, and I also like designing / pattern cutting / making, so I do both! Atelier Wedding Dresses bespoke couture quality wedding dresses & outfits. Banbury, Oxfordshire. 07941 619992. Bobbie Seagroatt.